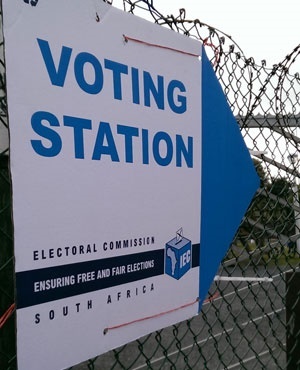 The Electoral Commission of South Africa (IEC) says a "technology renewal" is underway at the commission and is at the heart of its preparations for what will be the most "robust" elections it has prepared for. Chairperson Glen Mashinini and chief electoral officer Sy Mamabolo on Tuesday updated MPs on the IEC's strategic plans for the 2018/19 financial year ahead of the 2019 general elections. Mashinini told MPs that the commission was currently working in a challenging environment, as various court orders, such as the Constitutional Court directive to update the voters' roll, as well as South Africa's changing political dynamics, would make these elections "robust". Mamabolo highlighted that a technology upgrade would be completed before the end of the financial year, as certain IT systems were long overdue for replacement. Some of the IEC's computers were still operating on Windows 7, and needed upgrades for better performance and security, he said. The manufacturers of some of the commission's servers were no longer offering maintenance for those models too. "It is a risky situation," Mamabolo admitted. The IEC is also conducting a human resources review to look at its human capital and how it can be maximised next year. This process will be completed by the end of this month. The commission is currently in discussion with Treasury to help fund its needs beyond its allocated R1.8bn budget for the financial year. "Most of this budget is going to printing of ballot papers, training staff, equipment and so on," Mamabolo said. Regarding the commission's obligation to the Constitutional Court to update the voters' roll to include up-to-date addresses of voters, the IEC said it had set a 100% target for the end of the financial year. A date has not yet been set for next year's general elections.